Are you a blogger? If yes, then you might have come across these common questions – ‘What’s the SEO strategy you use to drive traffic?’, ‘What’s your website’s page rank?’ People are least bothered to even question you about your niche, but they need your SERP rank. Whether it’s an interesting blog or just a crappy work, it’s the blog’s rank that matters to them. They also count on backlinks to your blog and not just the content. But what exactly is a backlink? Why do you need a backlink? Why is it so important? Backlink is any link from an external site to your blog that’s the source for your blog’s traffic. These are URL links on the Web that play a vital role in the search rankings of your blog. Backlinks have the power to make or break your blog as they take your blog closer to the search engines. The volume, nature and quality of backlinks to your blog are important factors that determine the page rank of your blog. There are different types and presentations of backlinks that can affect your blog’s SERP rank. DoFollow backlinks are always better as they have a great effect on your blog’s page ranking. While NoFollow backlinks are also good, they don’t help in search results. When it comes to one-way links or two-way links, one-way links are ideal as two-way links don’t have that effect on rankings. Using anchor text (texts hiding links) related to the keywords in the title will help improve the search ranking of the blog. This is a strategy that can help you position as a leader in your niche as you get your blog’s URL reach the audiences across countries. Write articles that are about 400-500 words in length with your blog link hidden in the content and submit them to article directories. Most article directories allow you to place links wherever you require while some directories let you place link in the author resource box. At times like these the text you write in this box, must entice the reader to click on your blog’s link. Keep in mind, backlinks are more effective when the number of clicks is more. Read : Guest Blogging or Social Networking? Talking about Guest Blog post, you are free to do as much as you want. You can publish genuine blog posts on reputable websites or blog and link your blog to these posts. The traffic that blog posts create is just unimaginable, if the anchor text is used appropriately in the author resource box. With this strategy, you can build high authority backlinks from high page ranking websites and article directories. This is one among the best strategies that almost anybody can try but a bit time consuming. 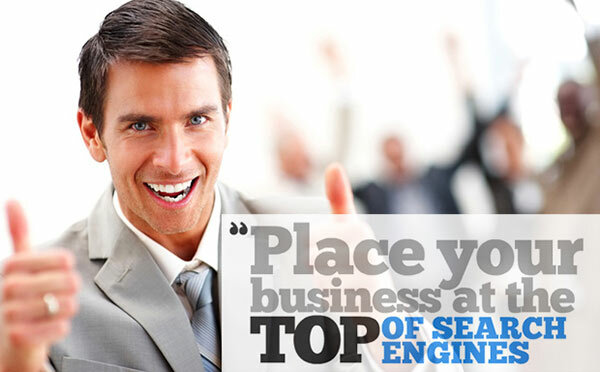 When it comes to forums, they usually have great authority with search engines like Google. You are allowed to place your links as signatures or even in your comments or posts that drive a tremendous amount of traffic to your blog. Although many forums use the tag “rel=nofollow” on your links in signatures and posts, these links add authority to your blog. But linking your blog isn’t that easy as there is a good chance to get banned if you call attention to your signature. And, if you get banned, people rather than considering you as a potentially trusted authority, look at you as an opportunistic spammer. Boost Your Google Ranking by Blog Commenting. Unlike Forums, blogs are quite easy and you can get loads of backlinks in just hours of hard work. You need to find blogs that are relevant to your blog’s subject and then give a meaningful comment. You need to be cautious enough when you approach this type of backlinking strategy as almost all the bloggers remove the comments made exclusively for backlinking. Avoid comments like ‘Great post! Thanks for sharing!’ that spammers use often to get backlinks. You can link your blog to your name or the comment using anchor text but ensure that you make an appropriate, relevant comment to get a permanent backlink. It’s the easiest strategy ever that allows you to create quality backlinks from websites with high page ranks. Social Bookmarking Sites categorize and store bookmarks (links to websites or blogs). These websites drive massive traffic to your blog attracting millions of visitors looking for information. You just need to sign up with these websites and submit your blog’s links regularly. Ensure that you don’t post your blog’s link to the same social bookmarking site twice a day, as there are chances of being flagged. When it comes to Social Networking Sites, they are the best to drive targeted traffic. Creating fan pages in Facebook, Twitter, LinkedIn, MySpace, Google+, Pinterest, Orkut, etc., can help you reach people of different age groups. However, social networking sites don’t help in building backlinks as they only increase your blog’s credibility to the search engines. This is because search engines don’t index feeds and tweets instead they index pages and URLs in the website field of your profile. That’s not all; the list is ever-expanding with new strategies popping out every now and then as no one knows how exactly Google works. While it’s true that Google isn’t the only search engine, we need to keep in mind that it dominates about 75% of the global market. While this list is not exhaustive, it can provide you with a great starting point for your SEO game. Try all the strategies possible and stick with those which work best for you. It’s now up to you to make or break your blog. Previous: What is the Necessity Behind Crowdsourcing? Will Google Latitude Oust Foursqaure?